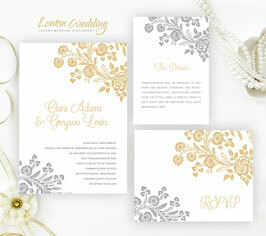 Reflect the glamourous tone of your upcoming nuptials with our Silver and Gold Wedding Invitations. 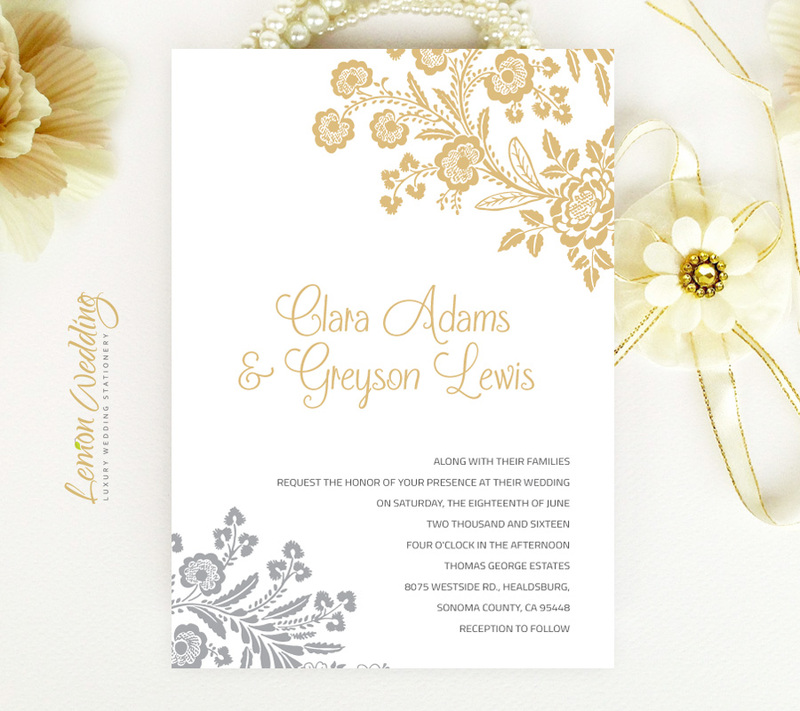 This graceful invitation set is ready to announce your wedding in a stylish manner. Each card is printed on premium card stock and accent with silver and gold floral artwork. 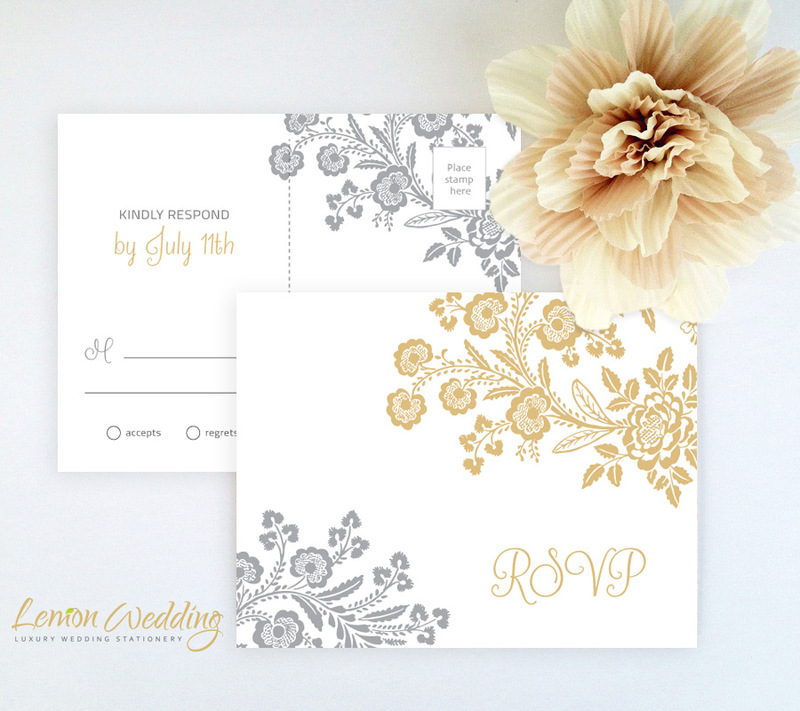 This wedding set includes a wedding invite, RSVP postcard and a card for additional details.